Holy Yum! 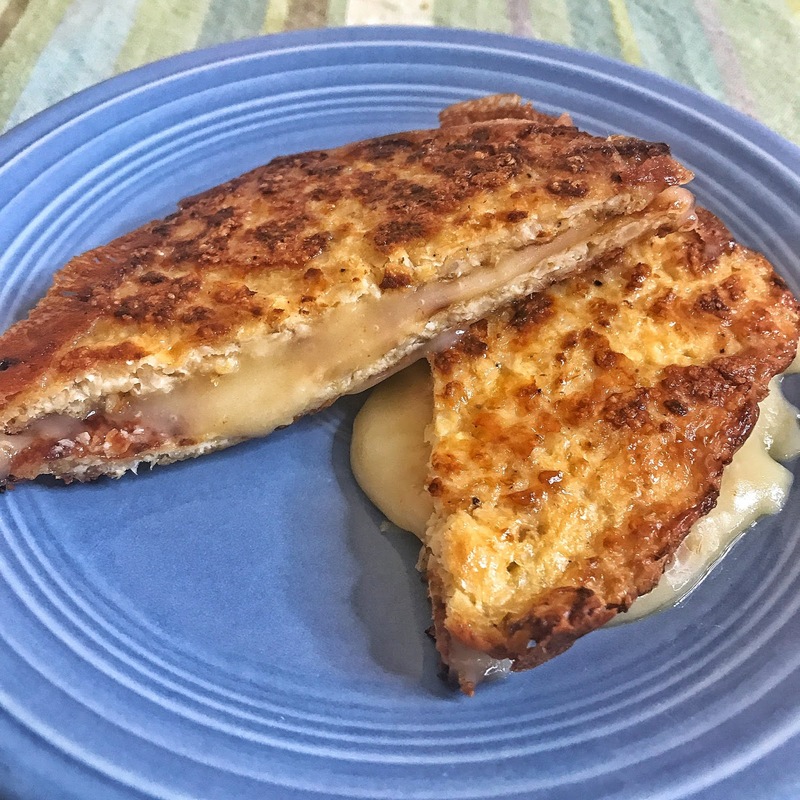 This grilled cheese recipe is pretty damn good! I plan on making the cauliflower bread all the time for sandwiches! 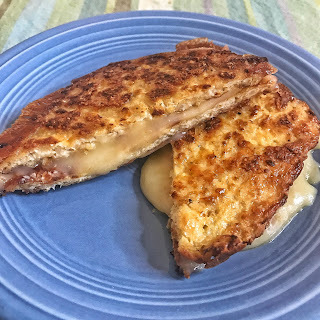 It was really quick and easy to make and totally helped with my bread craving! Enjoy! Cut florets off cauliflower stems. Place florets in the food processor and pulse on high until rice-like consistency forms. If you don’t have a food processor you can use a grater. Place 3 cups of cauliflower rice in a microwave-safe bowl and microwave for 7 minutes. Once cooled, place cauliflower in a cheesecloth (can substitute heavy duty paper towel) and squeeze out excess liquid. Form dough into bread slices about 1/3” thick. Place on baking sheet lined with parchment paper and bake at 450 for 15-18 minutes. Let cool for 10 minutes and remove with a spatula. In a large skillet melt 1 tablespoon of butter over medium heat until butter starts to sizzle. Place one piece of bread in butter and top with cheese slices. Cover the skillet with a lid until cheese is almost melted, 2-3 minutes. Top the sandwich with the other piece of bread and flip the sandwich over. Cook until golden brown 1-2 minutes. Optional: Add cooked Bacon or favorite deli meat with cheese slices.